Our community hit another milestone this week, with Highland Capital Partners’ announcement that Syntellia will be the first investment under the Leap Fund™. Later this week, we'll be releasing SDK 1.0 and the Developer Portal will be opening fully. On Developer Labs, we have a guest post from Syntellia and Isaac Cohen’s translation camera experiment. 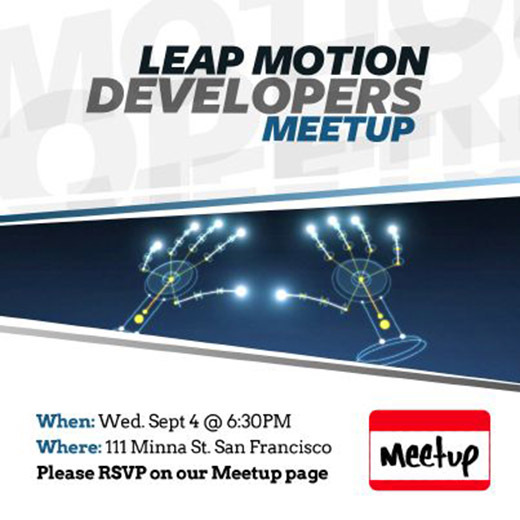 Plus, a gesture recognition library, code samples, and space navigation experiment created by your fellow developers. On Wednesday, Highland Capital Partners announced that Syntellia – the creators of the next-generation text-input app Fleksy – will be their first investment under the Leap Fund. Established to support entrepreneurs who use Leap Motion technology to push the boundaries of human potential, the Leap Fund is still looking for groundbreaking new ideas. The first 1.0 version release of the Leap Motion SDK for Mac and Windows will soon be available, followed by the Linux release. We've also made a few changes to the SDK agreement. The new SDK includes improvements to background behavior and removes many of the deprecated APIs. Later this week, we’ll be fully opening the Developer Portal to the public, so that everyone can freely access the forums, language guides, and other developer resources. You will still be required to sign in to download our SDK, post in the forums, and access Airspace app submissions. This broadens the reach of our community and helps to make our documentation and forum support more accessible to all. In this special guest post, Syntellia co-founder Ioannis Verdelis talks about his company’s journey from early Leap Motion developer to a funded app-maker – including some tips on pitching to investors. my3681 created a free and open gesture recognition library, built for Objective-C and C#, on top of the Leap Motion SDK. 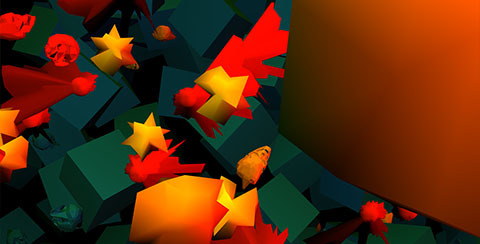 Theo Armour posted 9 code examples and a 3D desktop demo using Leap.js and Three.js. The team at real-time analytics firm GoSquared mapped location analytics to a Leap Motion-enabled 3D globe. Use one open hand to turn the globe, and two open hands to zoom in and out. Try it for yourself, or watch the demo video below. Brejla created a 3D space navigation experiment that translates your fingertip into a light point, and interprets hand motions and tilting as camera movements and rotation.